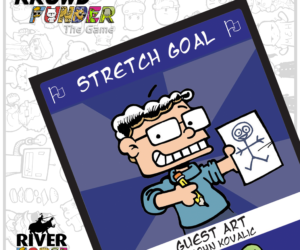 John Kovalic has joined Krowdfunder as a guest artist, and his card will feature in the game! We have released new images of the final painted model of Shrikethorn, you can check these out on our website. 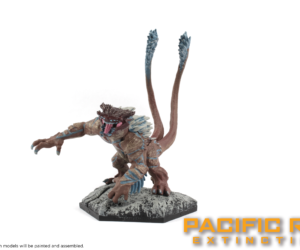 Alongside this, we have released a new production update so that you can see how Pacific Rim: Extinction is currently progressing. We have chosen our top-8 favourite names from all of your suggestions! These four pairs of names will battle it out head-to-head for your votes, starting tomorrow. Starting Monday our top-8 favourite submissions will go head to head to become the name of our Hippo! A big thank you to John Wigley who has provided us with our most dapper hippo yet in this amazing piece of artwork! 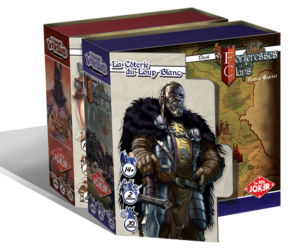 Looking for two-player games this February? Looking for a two-player game you can play with someone special? Why not take a look at the Versus Series. Each game is designed for two players and each provides a different play experience! 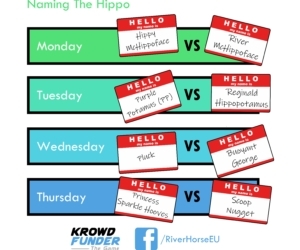 https://riverhorse.eu/wp-content/uploads/2018/09/d28c94af50b15edc654b4e18369de077_original.png 481 680 River Horse https://riverhorse.eu/wp-content/uploads/2018/07/RH_logo_trans.png River Horse2019-02-05 14:40:402019-02-12 15:23:43Looking for two-player games this February?